Does Domestic Violence Affect Spousal Support? It would seem logical that if during the marriage, a spouse was the victim of domestic violence, then during the divorce trial, and more specifically, when hashing out support payments, that would be a mitigating factor. And to some extent, the court usually takes into consideration the devastating effect that domestic violence can have on a person, not just emotionally and psychologically, but also in their every-day lives. For instance, the court recognizes that domestic violence can greatly affect a spouse’s ability to get a job and have a career because of the toll that domestic violence can have. The actions that a spouse commits on another can often negatively affect the other’s earning capability. Because the repercussions of spousal abuse and misconduct can have such an impact, don’t hesitate to bring it up to your attorney or in court, not only because of how it may impact spousal support, but also because it is something that should be addressed and not be brushed under the table. While that is as far as most courts will consider domestic violence as a factor in spousal maintenance, it does have an impact on child support as well. In Family Court, a common form of relief is an Order of Protection. Not only does it help settle child custody battles, it also can include child support. While some courts initially grant a temporary order of protection, a more permanent one can be granted from one to three years. Sometimes this order can include that the abuser pays the medical expenses for treatment that arise from the incident, as well as housing costs, and, as mentioned earlier, temporary child custody and an award of child support. Paul E. Rudder, Esq. 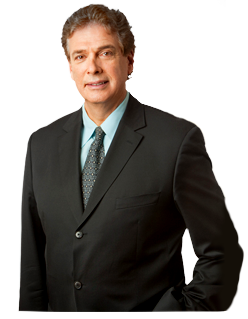 is a single practitioner and has been practicing family law for over three decades. Attorney Rudder started his career as a civil rights and criminal defense attorney. If you need legal assistance or want to get divorced, call 212-826-9900. How Do Social Security Disability Benefits Affect Child Support In New York? If your ex-spouse is receiving Social Security Disability (SSD) benefits, it is usually because they can no longer work due to their disability. The benefits are supposed to compensate for the pay that would have been made by your ex, had they not lost the ability to work. The children of these disabled workers are entitled to something called SSD Dependency benefits, which are used to help take care of the child’s needs. If you are unable to work, and therefore make income, you are not the only one that suffers, so the Dependency benefits are there for the children. However, being disabled does not excuse you from paying court-ordered child support, and the court is very certain on making sure that the children do not suffer because one of their parents is on disability. The court will usually allow the payer to use their Dependency benefit payments as part, or all, of their monthly payments. In other words, you can use some of your disability benefits to cover child support, and then fill in the remaining gap of what you owe with the Dependency benefit payments. Note that if your spouse receives Supplemental Security Income (SSI), you will not be able to get any support payments from that. If your ex is collecting and owes support, the court or a Social Security officer can cut into those benefits, in order to put pressure on your ex spouse to make the appropriate payments.